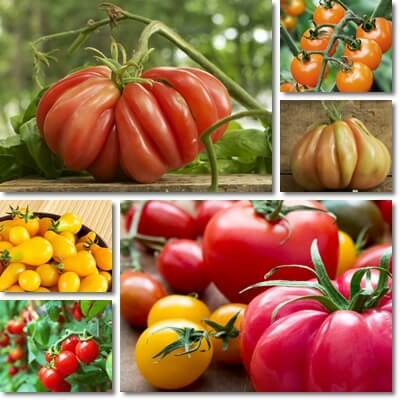 Whether they’re cherry, grape, pear, Roma or plum tomatoes, San Marzano, Kumato or beefsteak, red, yellow, orange, purple, black or green, tomatoes are always a healthy and nutritious choice. Their many benefits aside, they are particularly good for diabetics and anyone needing to control their blood sugar because of their low glycemic index score. Tomatoes are low on the glycemic index with a score of only 15, similar to almonds, peanuts, walnuts and other nut varieties. Eating them in moderation has minimal effects on blood sugar and helps achieve better blood sugar control in diabetes. The glycemic index (GI) is a numerical scale that estimates how different foods affect blood sugar. More exactly, how fast the carbohydrates in foods raise blood sugar levels (during digestion, carbohydrates are broken down into sugar, their simplest form, which is then absorbed into the bloodstream, raising blood sugar levels). Between 0-55 is a low GI. Between 56-69 is a moderate GI. Between 70-100 is a high GI. If you have diabetes or hyperglycemia, then it’s best for you to choose foods with as low a GI as possible, as often as possible and try to avoid high GI foods to the best of your efforts. 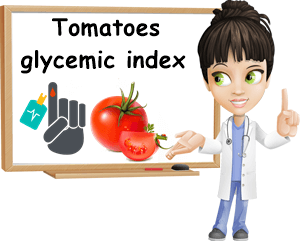 Tomatoes on the glycemic index rank an average score of 15, making them a low-glycemic food/botanical fruit/culinary vegetable. This means they have minimal effects on blood sugar which makes them a good food to consider for diabetics in particular. Of course, not all tomatoes are exactly alike from a nutritional standpoint, so it’s reasonable to assume the exact glycemic index score may differ slightly between varieties. But because of their generally low carbohydrate and low sugar content, tomatoes remain low on the glycemic index irrespective of variety and can be consumed safely with diabetes, preferably in moderate amounts. The glycemic load (GL) is a numerical scale that estimates how fast the carbohydrates in a serving of a food raise blood sugar levels. Between 0-10 is a low GL. Between 11-19 is a moderate GL. Over 20 is a high GL. The glycemic load is focused on serving size/portion control. Different amounts of a food provide different carbohydrate intakes and since carbohydrates are the ones that raise blood sugar, diabetics and anyone with hyperglycemia are advised to keep their carbohydrate intake within certain limits in order to avoid high blood sugar. The glycemic load of a food is determined based on the following formula: glycemic index multiplied by the number of carbohydrates in a serving expressed in grams, divided by 100. The smaller the serving, the lower its carbohydrate content and the lower the glycemic load. Note: Some foods with moderate to high glycemic index values that are otherwise contraindicated in diabetes can be consumed safely with diabetes in small amounts because the amount of carbohydrates they provide per serving is too low to produce significant effects on blood sugar. An example of such a food is watermelon which can be included in diabetic diets because, despite its high GI (72), it has a low GL (5, determined for a serving of 100 g). Also see Can You Eat Watermelon With Diabetes? How many carbohydrates in tomatoes? Average carb content for red, ripe tomatoes: 3.89 g of carbs per 100 g, 5.8 g per cup of cherry tomatoes (estimated weight: 149 g), 2.41 g per Roma/Italian plum tomato (estimated weight of 1 fruit: 62 g), 0.66 g per cherry tomato (estimated weight of 1 fruit: 17 g), 6.08 g per large tomato (estimated weight of 1 fruit: 182 g). Nutritional information courtesy of USDA. Similarly, the glycemic load of green, orange, yellow and purple tomatoes is just as low, averaging a GL score of around 1 for 100 g servings, 1 whole large, medium and small fruit. Also read about the Properties and Benefits of Black Tomatoes. Regardless of your favorite variety, whether it’s sweeter or more tart-tasting, red, orange, yellow, green, purple or black, Italian plum, San Marzano, pear or beefsteak, know that you can eat tomatoes even with diabetes and do so safely because they are a low-glycemic fruit. What this means is they are unlikely to produce major blood sugar spikes, provided intake is moderate and in accordance to your nutritional requirements. Tomatoes are generally low in carbohydrates and sugar and, given their low GI score (15) and low GL (1), they make a great addition to diabetic and non-diabetic diets alike.